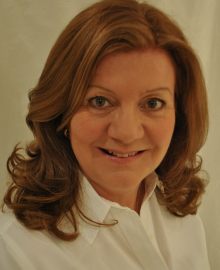 As founder of Synergy Performance, Shirley works with companies to achieve their business goals through the development of individuals, and the creation and development of high performance teams. Having held a number of senior sales roles at Hewlett Packard, Shirley has a wealth of business knowledge and experience. This ranges from Selling Leading Edge Technology and Services, European Account Management and Strategic Roles within Training and Development. During her career she has worked with many notable clients who have included Unilever, Glaxosmithkline, Mars, DHL and O2. Following a successful sales career Shirley moved into Training and Development at Hewlett-Packard, where she was responsible for the strategy and implementation of Training and Development within the Computer Division. This was followed by a number of independent role’s providing training, coaching, mentoring and recruitment services, working with organisations across many industry sectors. It was Shirley passion for enabling individuals and business to achieve unparalleled success that first introduced her to Talent Dynamics in 2012. “I was so impressed with the results that may be achieved through what initially starts as a straightforward profile report. Talent Dynamics is a scalable Business Development Pathway maximising the effectiveness across an organization from individuals, through teams, divisions and across the whole enterprise”. Shirley is an accredited Talent Dynamics Performance Consultant. Her work with Talent Dynamics is based on the principle that when a business is in flow, productivity increases, results improve dramatically and individuals are more motivated and connected to the organisation. This results in greater value, through innovation and timing, and greater leverage through people and systems. Working with the Talent Dynamics Pathway Shirley offers the experience, enthusiasm and tools to help businesses achieve the very best from one of their greatest assets, their people. One specific area of expertise offered by Shirley is within the Sales function of an organisation. Using Talent Dynamics for Sales, Shirley will help you build and support high performing sales teams. This is achieved by helping them learn the quickest and easiest route to success by creating flow through the sales process. Sales professionals are also guided through how to sell to different types of buyers based on their profiles. Even the most experienced sales people can benefit from different techniques and principles in order to achieve success in today’s business world of new technology and resources.